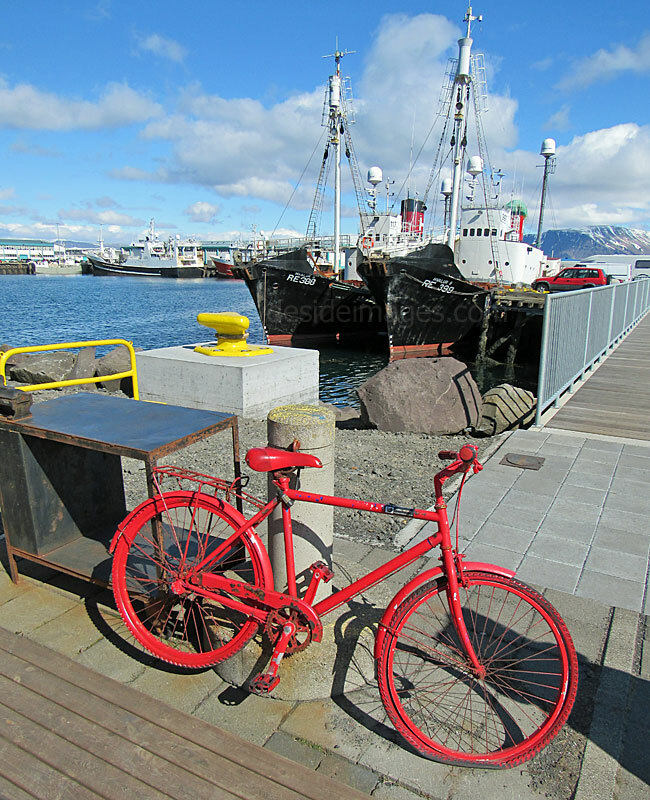 ​Although Hafnarfjörður, 10km (6miles) south of the capital, is home to most of the country's Ocean-going trawlers, Reykjavik harbour still receives catches and fishing boats of various sizes can usually be seen there, either lying-up between trips or undergoing maintenance in the busy dock-side repair yard. 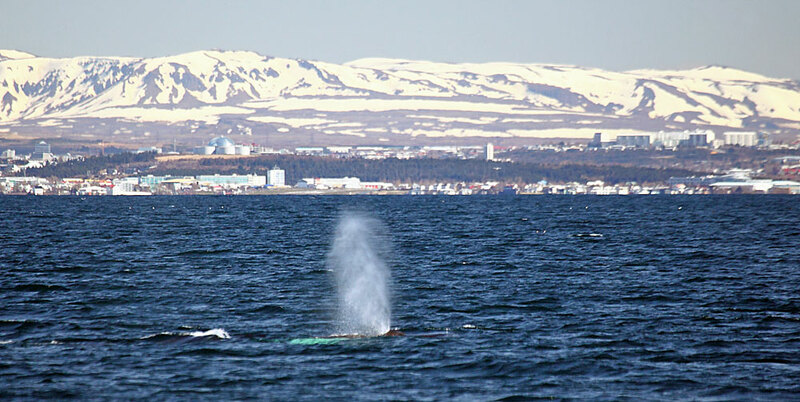 ​Reykjavik`s Old harbour is also the departure point for numerous wildlife-watching excursions, most of which have whales as their target species. 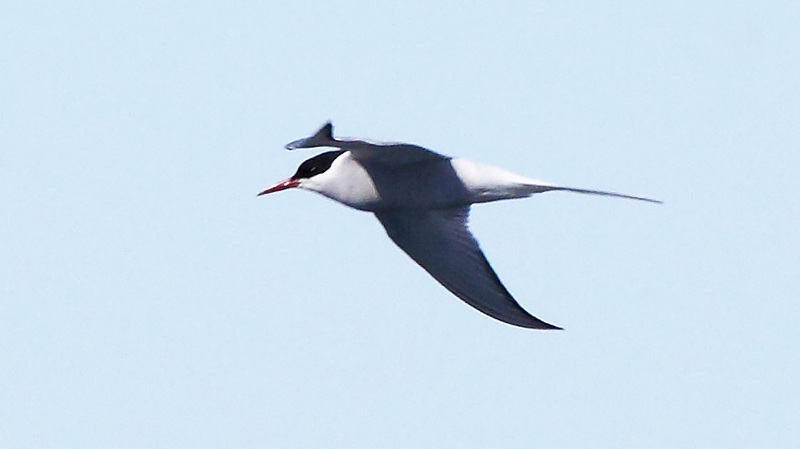 Some trips concentrate on bird life and others combine the two. 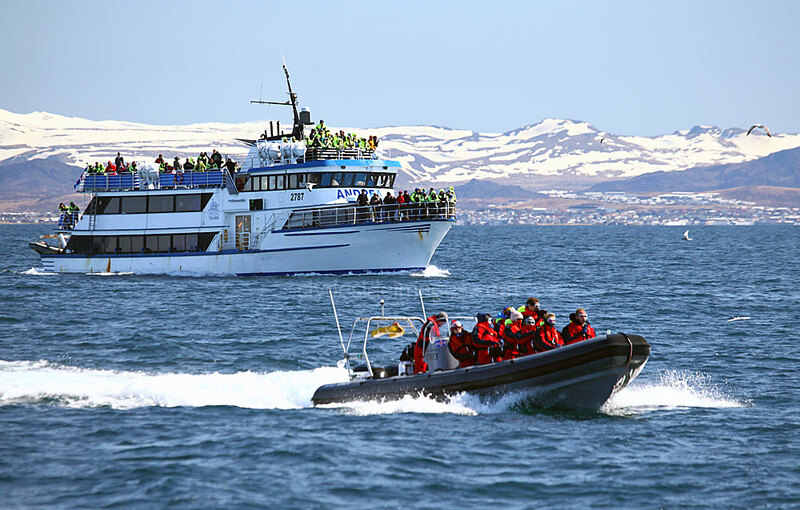 For thrill seekers Zodiac RIBs offer a fast track to the whale watching grounds but we opted for Elding, an established operator with five vessels currently in use, three of which are fairly large with indoor seating and heaters - definitely the way to go on this occasion. 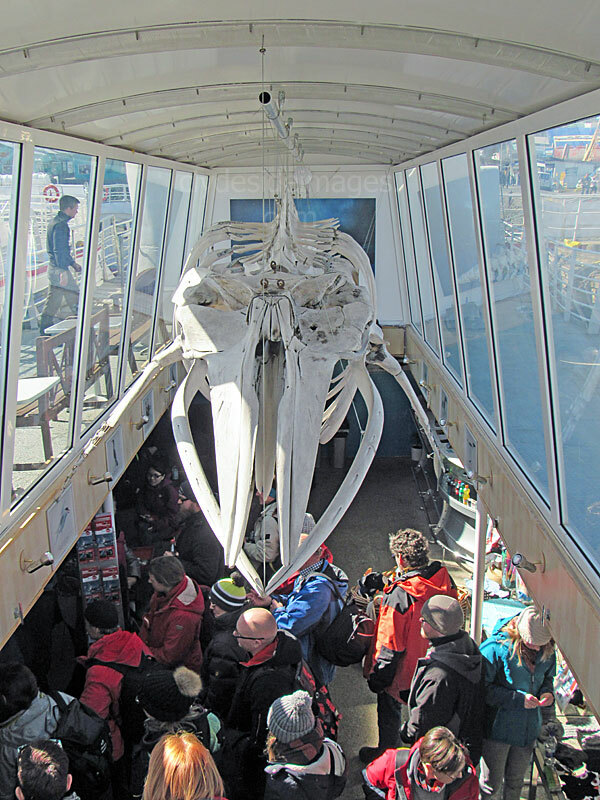 Boarding is via a permanently berthed retired trawler Fifill (above) which hosts a small display, including a Minke Whale skeleton, and a souvenir shop. One of the RIBs gets ready for departure. 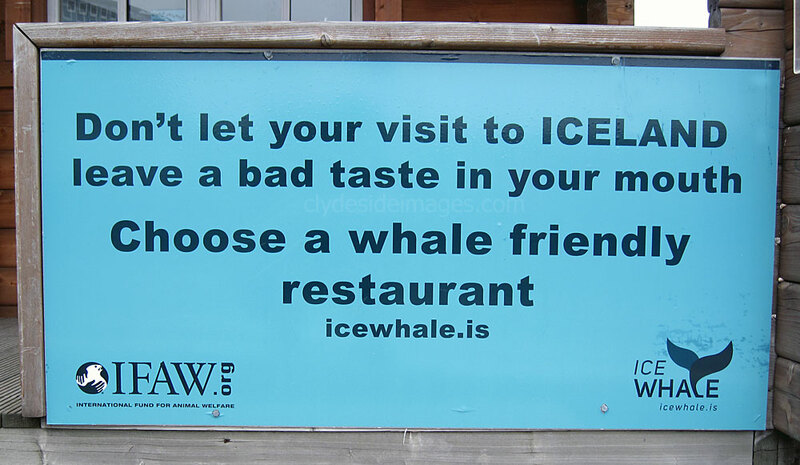 ​Bizarrely, Reykjavik is one of the few places in the world where Whale Watching cruises are advertised beside whaling ships. The city stands on the edge of ​Faxafloi bay whose waters are renowned for the high density of Minke Whales. Consequently much of it has now been placed out of bounds to the whalers who often hunt on the edge of the whale watching area. 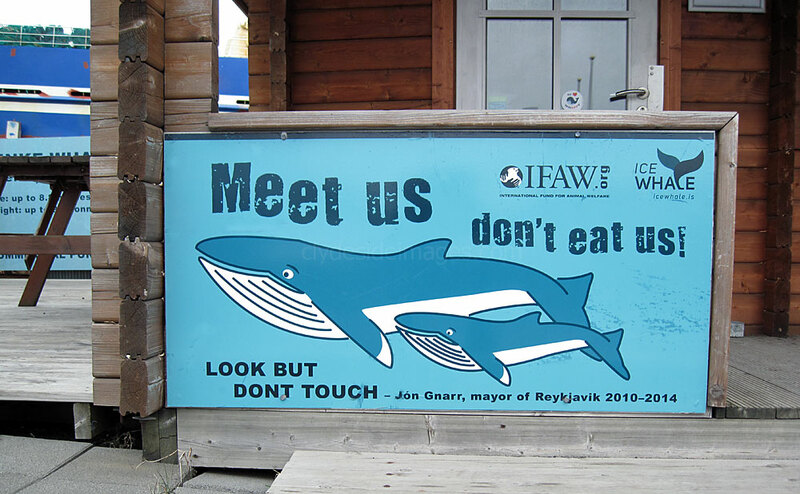 ​Iceland, Norway and Japan are the only countries that still have an active whaling industry. ​The first trip turned out to be a wash-out. Passengers were warned that conditions were `quite choppy` out in the bay and this turned out to be an understatement, the huge swell making it very difficult to spot whales when they broke the surface. It was so miserable that I never even attempted a photo! Despite taking one of the recommended anti-sea sickness pills, I lasted two-and-a-half hours before reaching for one of the sick bags. I wasn`t the only one - the boat was quite full and there weren`t many unused bags left by the end of the trip. 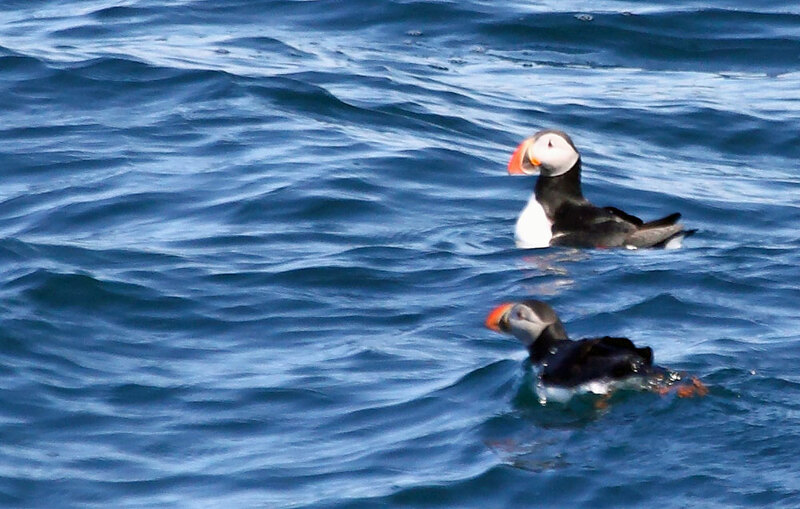 ​​The crew tried their best and stayed out longer than scheduled, trying to generate a bit of enthusiasm for the Fulmars, and small numbers of Guillemot and Puffin encountered in lieu of a whale sighting. 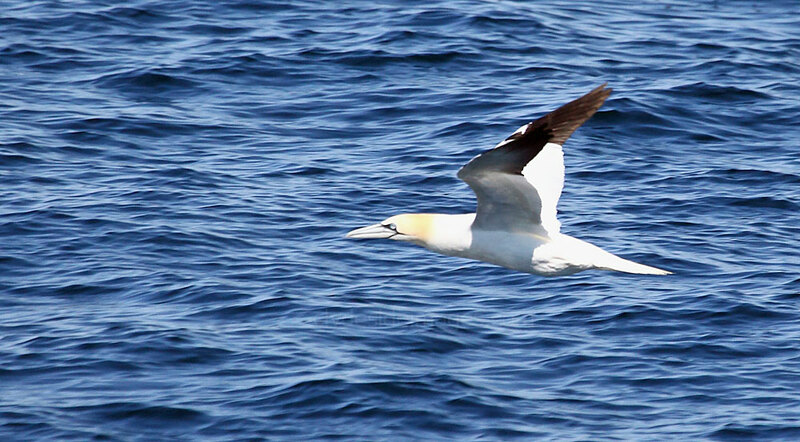 Just before the skipper called it a day, a Minke whale showed briefly in the distance but by that time most of the passengers had lost interest. The guide apologised to everyone for what he called 'a frustrating trip' and passengers (many of them as 'green' as I was) were given complimentary tickets which were valid for 2 years, which I thought fair under the circumstances. Later in the week conditions were far better so we went back out. 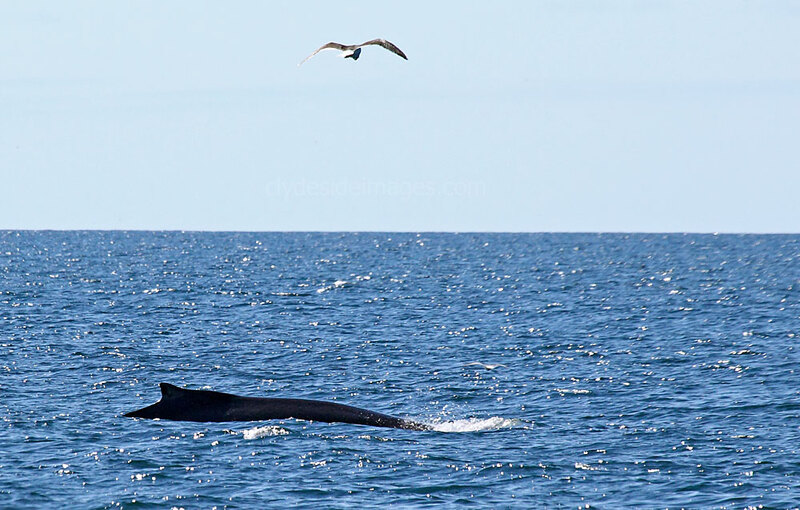 This time it was an excellent trip with plenty of whales, mostly Humpbacks spotted, although none breached properly so I had to be content with back and tail shots. 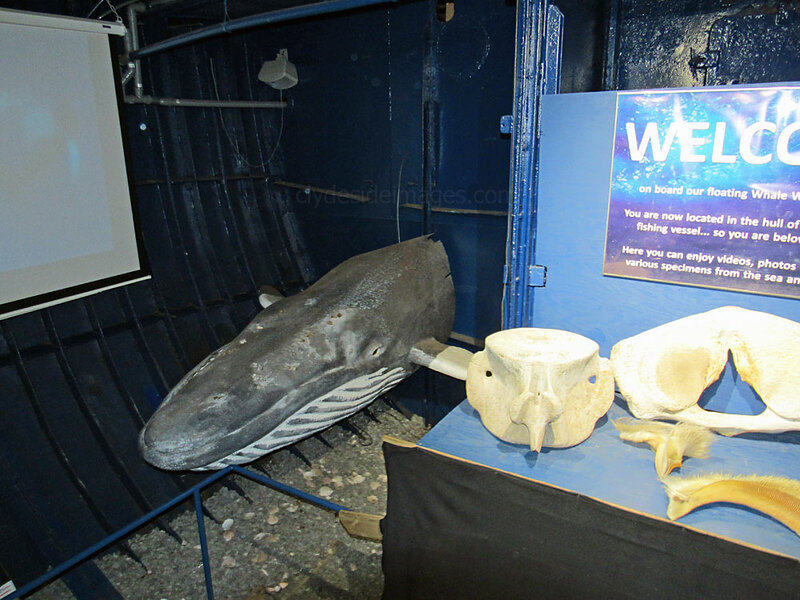 The whale pictured above appears to have a GPS tracking device fitted to the left fluke of its tail. ​"Thar She Blows!" The Perlan can be seen in the background. 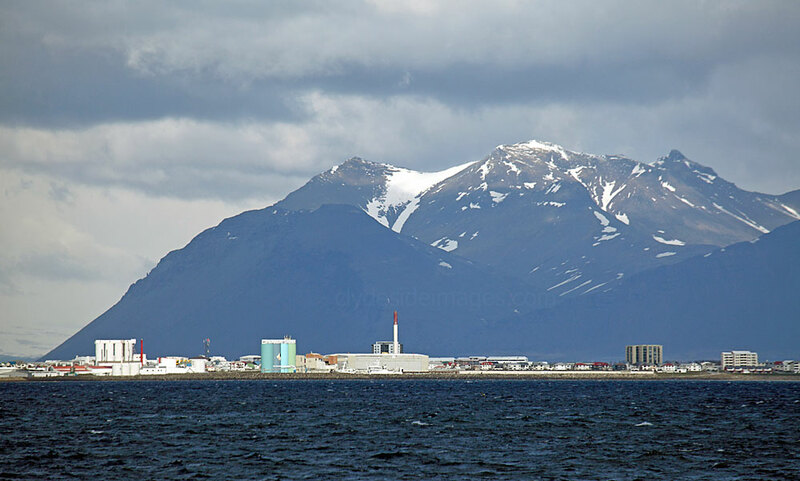 ​The port town of Akranes lies around 20 km north of Iceland`s capital Reykjavík but prior to 1998, when the 6 kilometre-long underwater Hvalfjörður Tunnel opened, drivers had to follow the coast road round the head of the fjord adding over 40km to their journey. Settlers from Ireland arrived at Akranes in the 9th century and by the mid-17th century, the settlement was a productive fishing village. 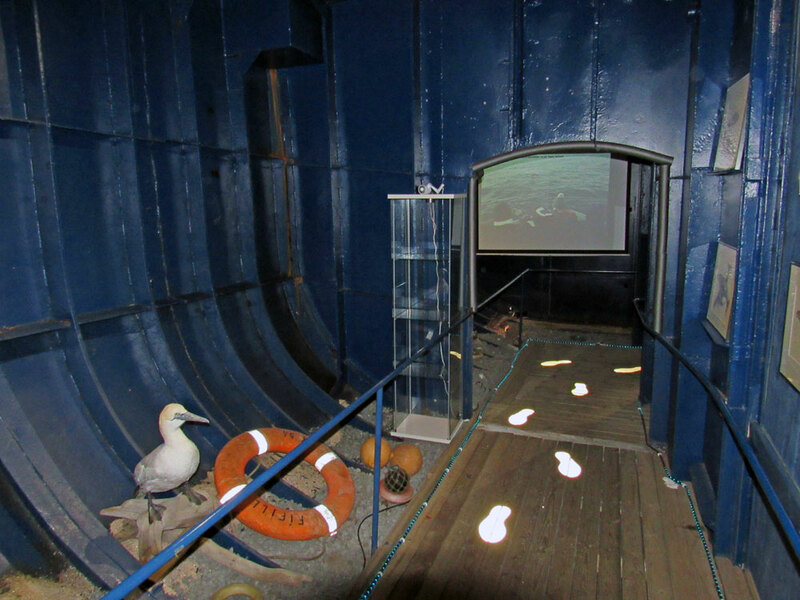 During the 1940s Akranes saw the biggest population surge in its history and with a modern-day cement plant and an aluminium smelter, as well as a working harbour, this is an industrial location rather than a tourist stop, although there is an interesting folk museum. 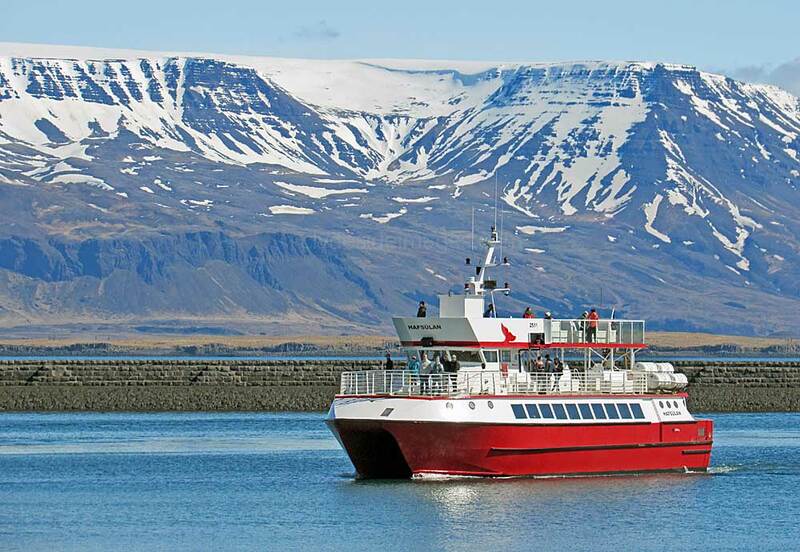 The snow-capped peaks of the Snaefellsnes Peninsula form a fine backdrop for Akranes-based Sturlaugur H Bodvarsson (AK-10) as she heads out for the fishing grounds. 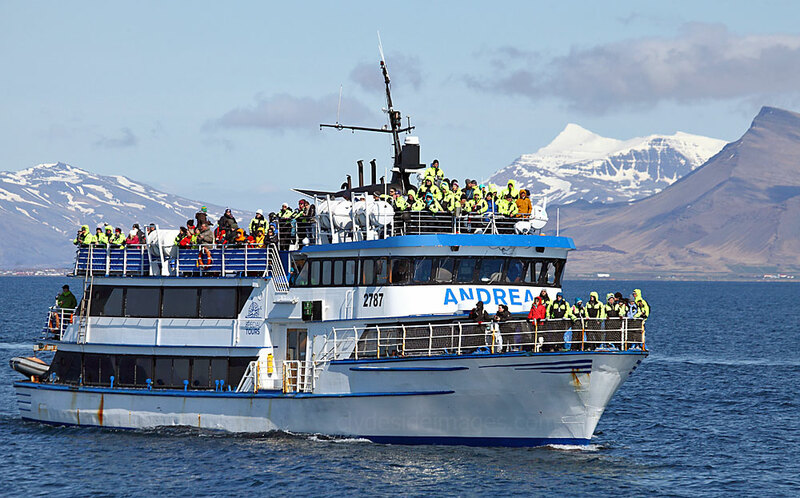 Built by Horgeir & Ellert at Akranes in 1981, this vessel is one of Iceland's longest serving fresh fish trawlers and will celebrate 35 years of operations in June 2016. 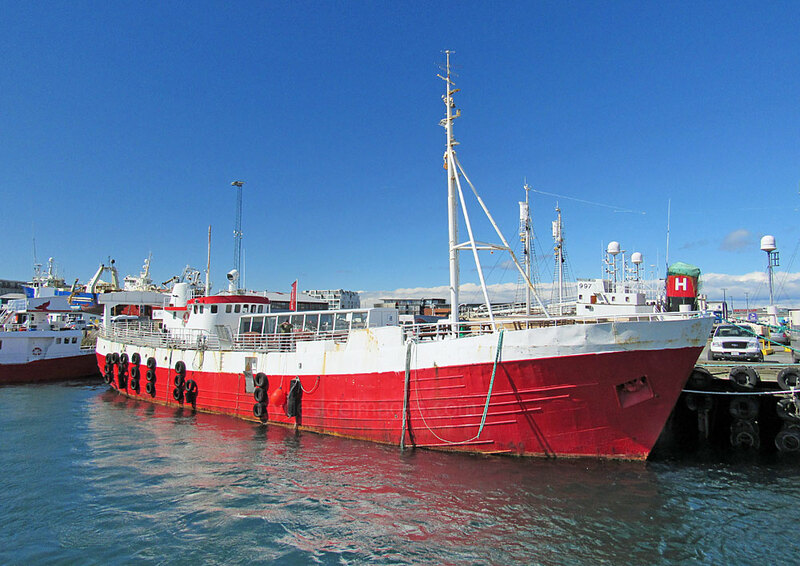 Originally named Sigurfari II, the Bodvarsson is owned by what is now HB Grandi, one of the Iceland`s largest fishing companies. Bodvarsson, along with Ottó N Thorláksson (RE-203), was built to a quite revolutionary design for the time which is based on the shape of a sperm whale! The stern gear was also innovative for its day with a larger propeller than was usual in ships of this size, but made to turn more slowly.